Mp3 Volumer is a free software designed to boost the volume of audio files (MP3, WAV, AC3, OGG, WMA) and change the bitrate to reduce or increase the audio quality and file size. 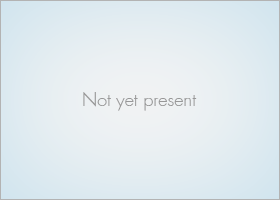 Have you ever been listening to audio music files that were really quiet, while others were really loud ? It can be an annoying problem but can be easily fixed by increasing the sound volume of the audio file with our software. Bitrate refers to the number of bits that are processed over a certain amount of time. Change the bitrate of the audio file to increase or decrease the audio quality and thus increase or decrease the size of the audio file. With Mp3 Volumer you can easily select multiple audio music files at once, and batch convert them with one single click. This feature is particularly useful if you have a folder full with MP3 files that need to be optimized. 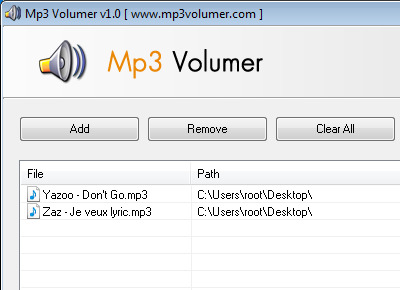 Mp3 Volumer supports all type of music files, including MP3, WAV, AC3, OGG, WMA and FLAC. The processed files will be automatically converted to MP3 format to assure they can be played in all MP3 players. Thanks to FFmpeg library and multi-threading, Mp3 Volumer is able to convert very quickly each music file, without slow down the system performances. With an Intel Core i3 processor, the conversion will be super fast. Mp3 Volumer is compatible with all 32-bit and 64-bit Microsoft Windows operating systems, including Windows XP, Server 2003, Server 2008, Server 2012, Windows Vista, Windows Seven, Windows 8, Windows 8.1. Mp3 Volumer is licensed as freeware and it is a completely free software, you can use it at work or at home without problems. If you like our software you can easily help us to become more popular by sharing our website in social networks and in other forums. It takes just few seconds for you to help us a lot.